Maybe you’re finding your legs on the singletrack, or perhaps you’re just dirt-curious? Either way, the Women’s Rockhopper Sport 29 is the only bike you need to live out your trail fantasies. This Rockhopper comes with a build spec that places an emphasis on reliability. 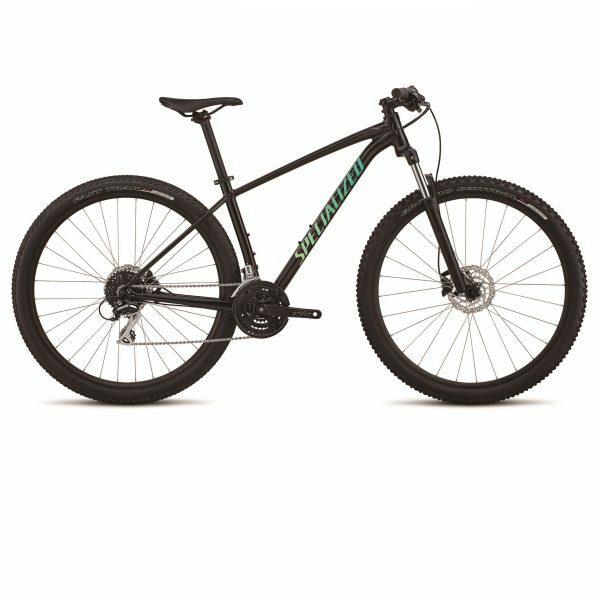 This means that it features a full Shimano drivetrain, dependable Shimano hydraulic disc brakes, grippy Ground Control tires that add traction over any trail, and an SR Suntour XCT 29 fork with our custom Multi-Circuit damping that eliminates the “pogo” feel commonly associated with coil forks. You’ll also find that we paid special attention to the needs of female riders, which is why every width and length of the components is tailored to women, while the Body Geometry Myth Sport saddle is sure to deliver comfort, mile after mile along the trail. Ride this bike home today, for as low as $33 per month. Follow this link and apply for pre-approval today.